End unit townhome in The Legacy Golf community! Fabulous location with a charming front porch overlooking a 6 acre park! 3 bedrooms, 3 baths with 2 car attached garage. The open main level has 9 ft. ceilings, spacious living room, and side windows for added natural light! The kitchen features a breakfast bar, SS appliances, large pantry cabinet and a dining area. A convenient half bath is also on this level. Upstairs offers a large master suite with private bath and huge closet! There are two additional bedrooms, full bath, and laundry room. 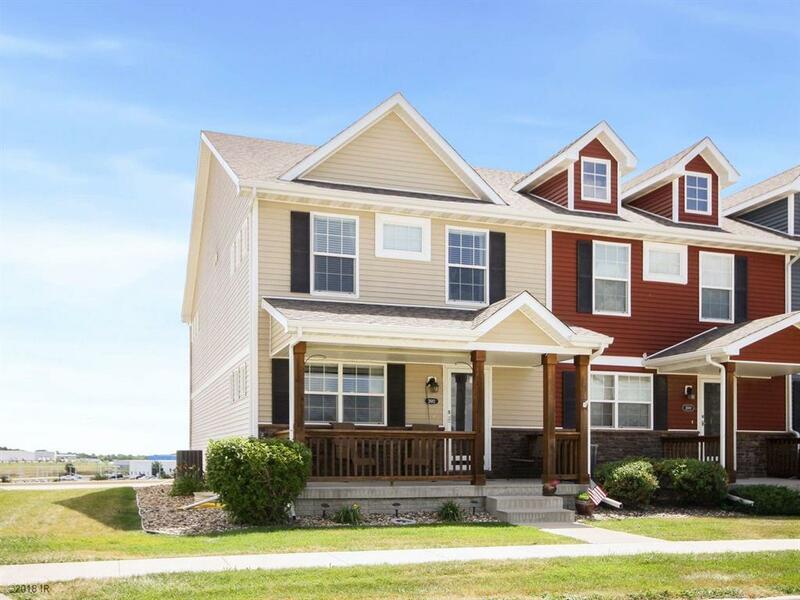 Play in the park, swim in the community pool, and enjoy the quick commute to downtown and West Des Moines. Dues of $140 a month cover lawn care, snow removal, internet, and access to pool and clubhouse. Pet friendly community with no weight restrictions. All appliances included!